As seen on TV3’s Xpose…the Vitamin Infusion facial is perfect to get your skin glowing. If you feel that your skin is looking dull, tired or dehydrated, the Vitamin Infusion is the perfect treatment to get that instant zing back into your skin. This is an ideal treatment if you have a special night out or big occasion like a wedding or communion coming up. How does the Vitamin Infusion Facial work? To start, a thick layer of anti-aging and corrective serums are applied to the skin. Then a layer of gauze is placed over the whole face with a layer of gel on top. A small microcurrent is attached with clips at the top and bottom of the face. This microcurrent allows the anti-aging serums to be transported into the deep dermis of the skin, far deeper than simply applying the serums by hand. This facial feeds the skin and gives an intense boost to the skin to instantly soften fine lines while leaving the skin plump and hydrated. This is a relaxing, pain-free treatment with no downtime. The microcurrent is turned down to a comfortable level so it cannot be felt during the treatment. You will see an improvement in the skins condition after just one treatment. 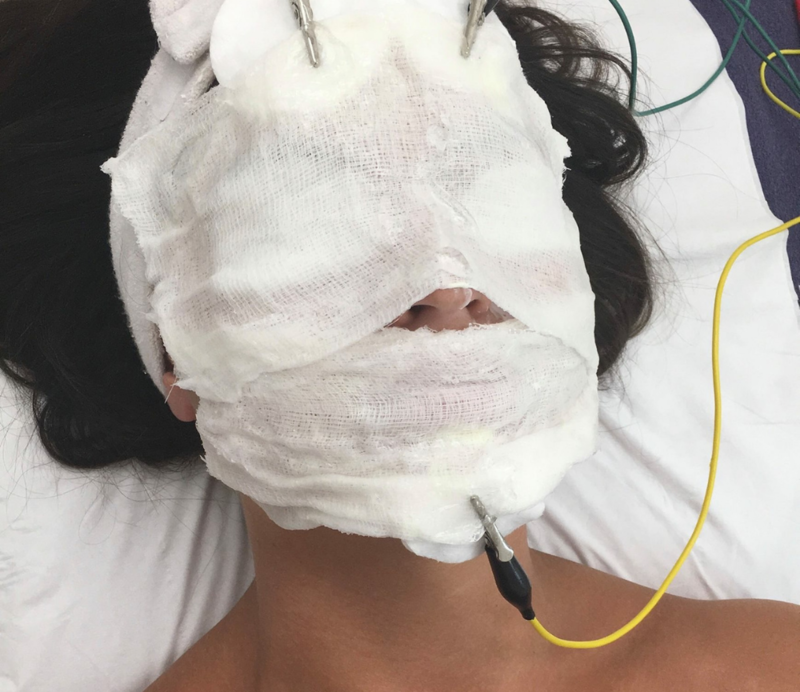 Unlike some other treatments which may require a course to see the best results, the Vitamin Infusion Facial does not need this. There is no downtime associated with the Vitamin Infusion Facial.